Zidane scoring that volley goal in Champions League against Leverkusen. Other big names using Mania was Beckham, Raul, Del Piero etc. place and used a two piece soleplate that reduced the weight. 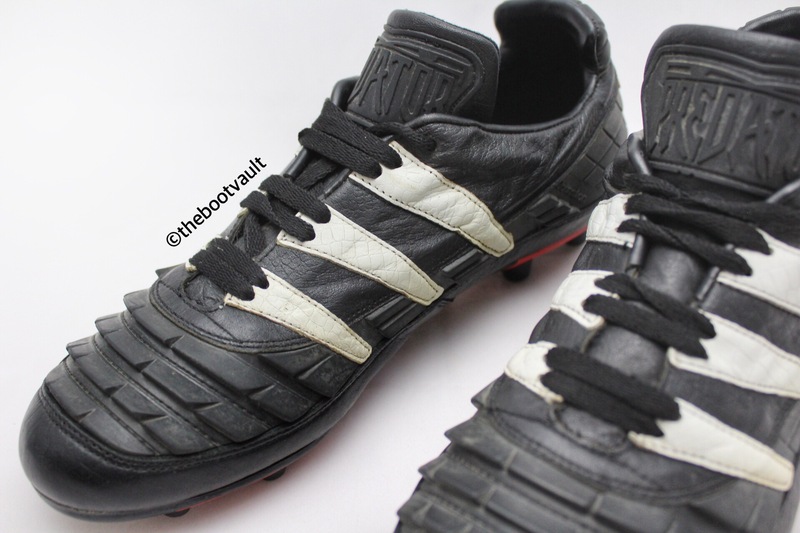 This is a boot that will stay in Adidas history and won’t be forgotten. Also there was released a big bunch of different colour options! 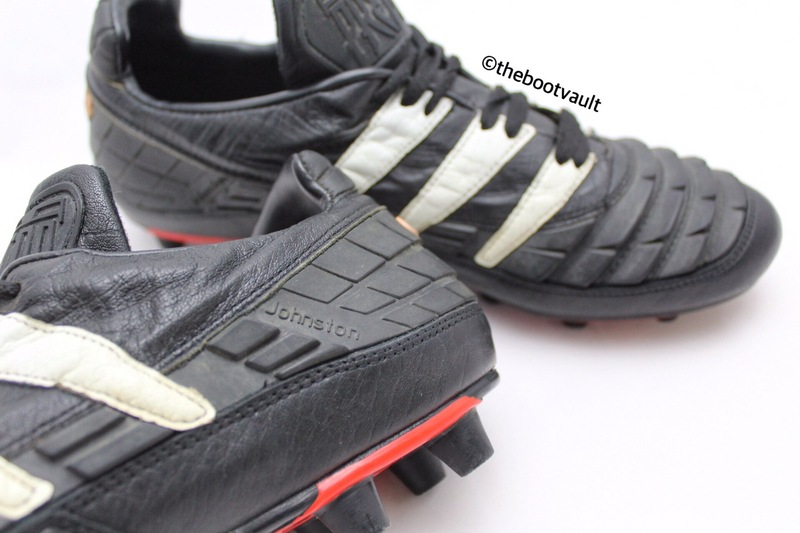 It is still regarded as one of the best boots Adidas ever produced. 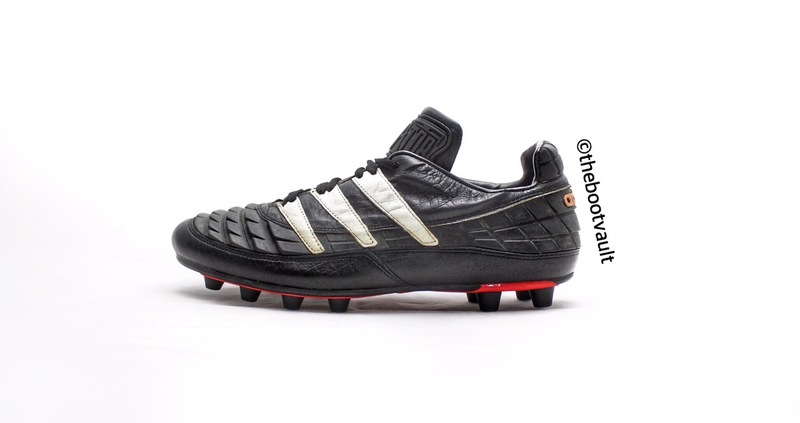 The Predator Accelerator was released in 1998 along with the FIFA world cup in France. 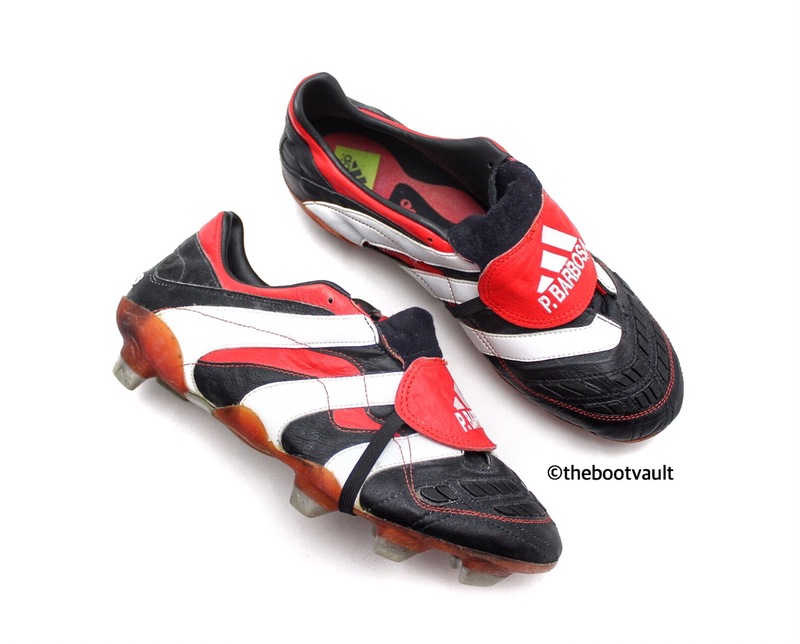 The boot was advertised by some of the greatest players like Zidane and David Beckham. France won Brazil 3-0 and Zizou scored twice! 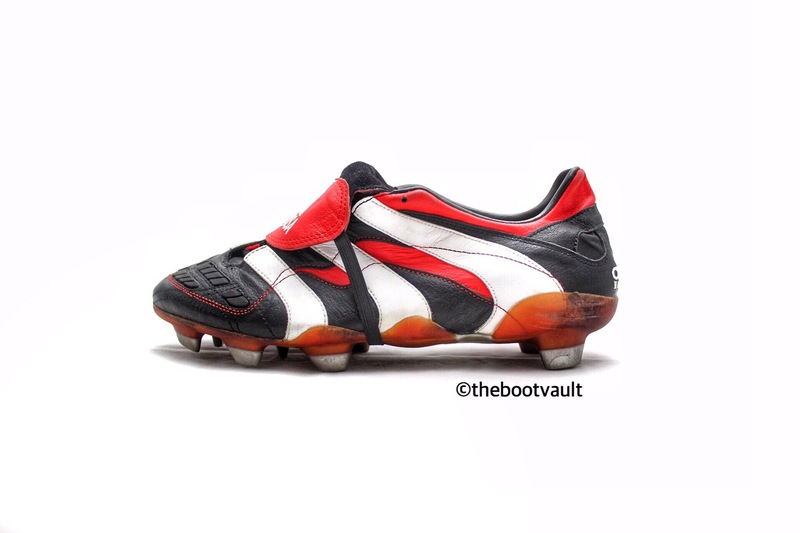 This boot featured a re-engineered TRX outsole, asymmetrical lacing for larger striking surface, the rubber fins sewn into the leather gives a swerve when hits the ball. 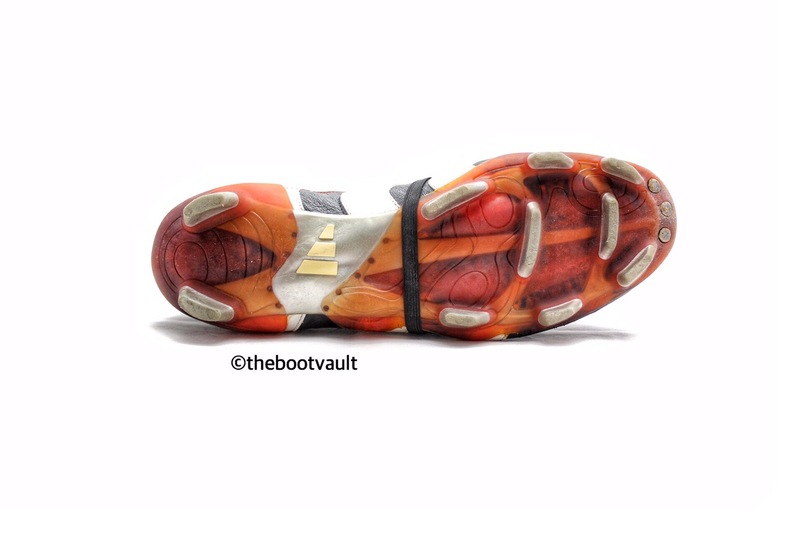 The boot’s weight about 300 grams and consists of several layers of high quality leather. Also in my opinion one of the few Predators that have a non-clumsy feeling when played in. 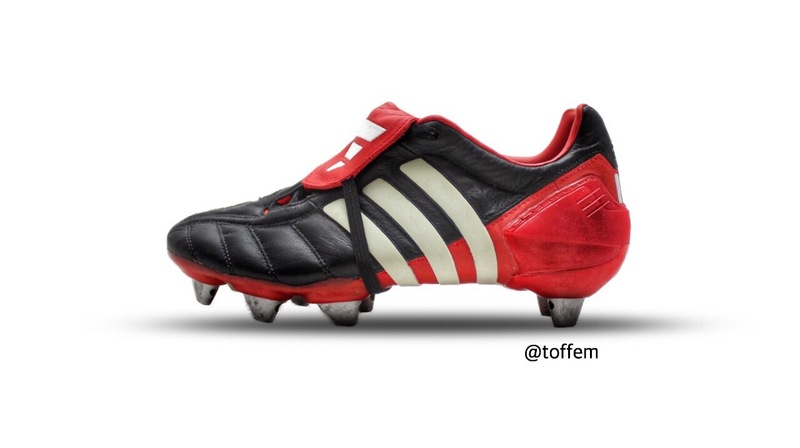 Adidas released this boot in four colours: Black/white/red, white/black/red, red/black/white and in a limited edition colourway called Electricity yellow. Hi! I wanted to inform you that my account @thebootvault has been hacked/disabled… Feeling quite lost at the moment. Have been putting lot of time and effort on it and suddenly it has been taken from me.😞 I would really appriciate if you would help me some way at least to get things going again. Mentioning me in your posts for a while or give a shoutout on InstaGram? 🙏🏻 Thank you for your support and I will try my best to create a new site. 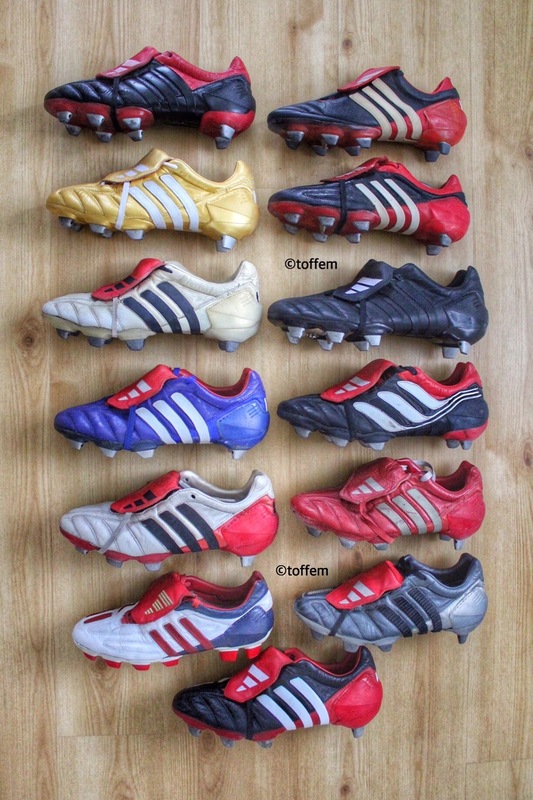 There have been a football boots “battle” between Nike and Adidas since 1994. 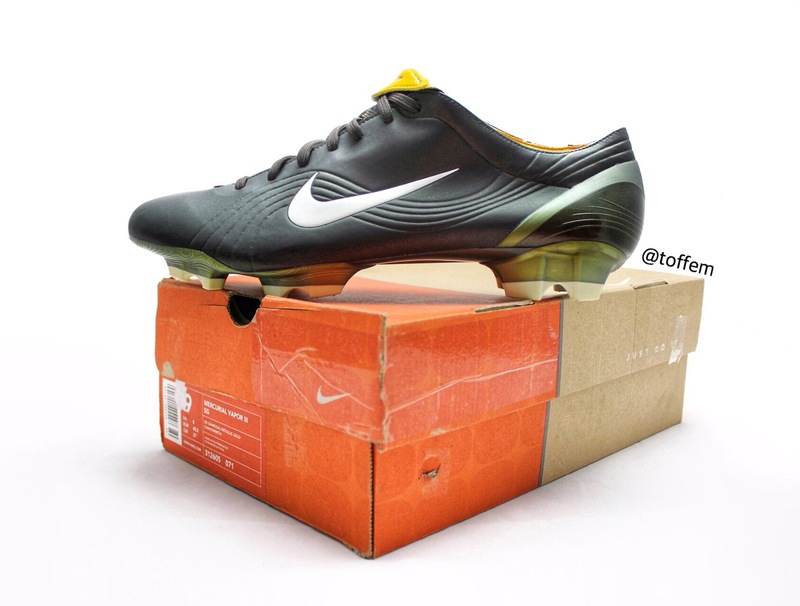 In 1998 Adidas introduced the Accelerator, so Nike released the first ever Mercurial, which became Nike’s new star! 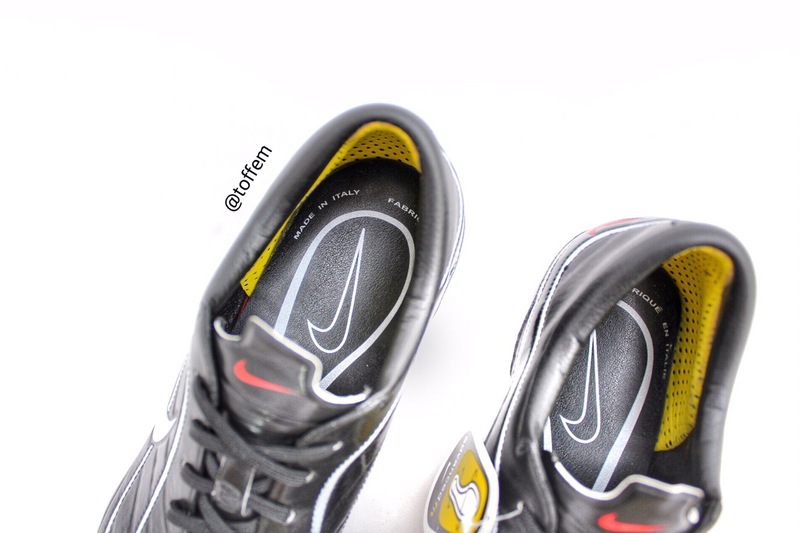 It was the Brazilian star Ronaldo Luiz Nazario de Lima, also known as R9, who debuted in the very first Nike Mercurial in World Cup 1998. 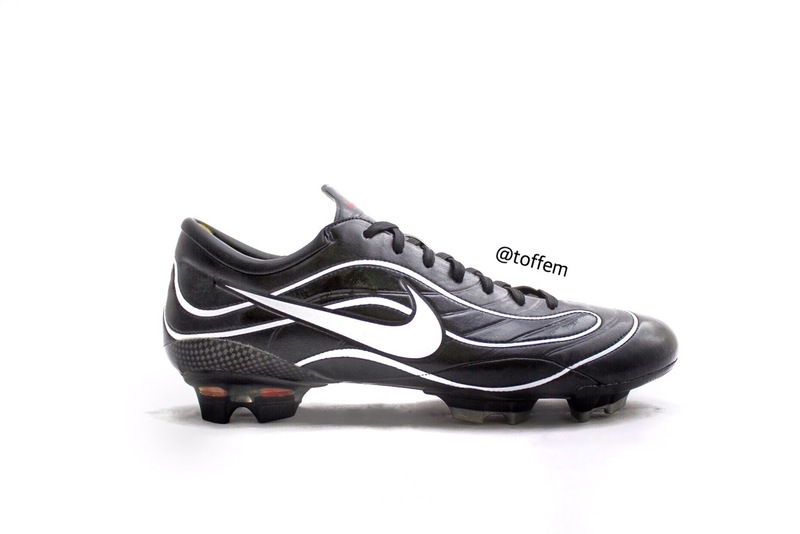 The original colourway was black/white, it was the first time Nike used synthetic materials in a football boot. 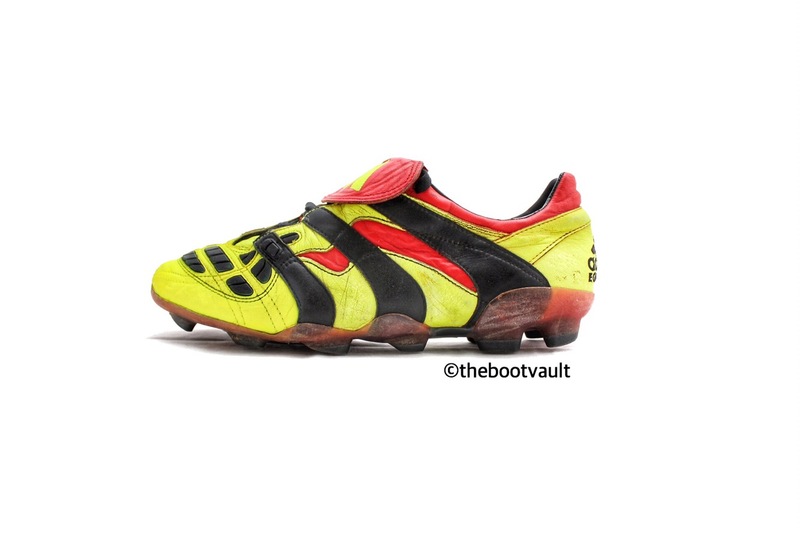 The syntethic material proved to be the succes, as they could make a boot light and durable at the same time. 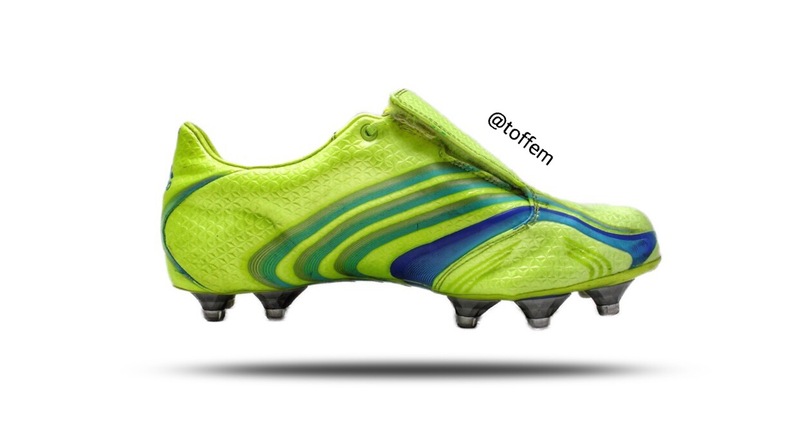 A special version in sliver/blue/yellow was released for the World Cup final for Ronaldo to play in. 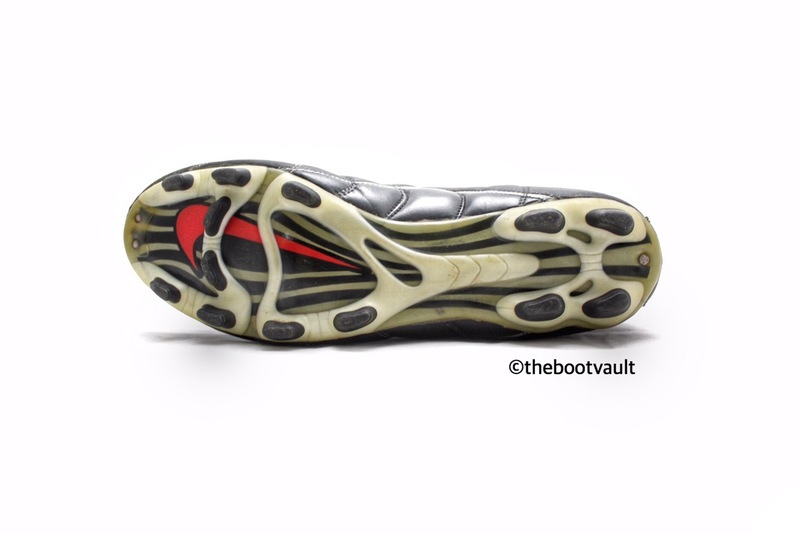 This was the first step for Nike getting into the market of light speed boots. 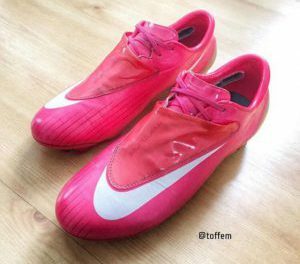 Nike showed that they are also able to make football boots! The year was 1994, world cup in USA. 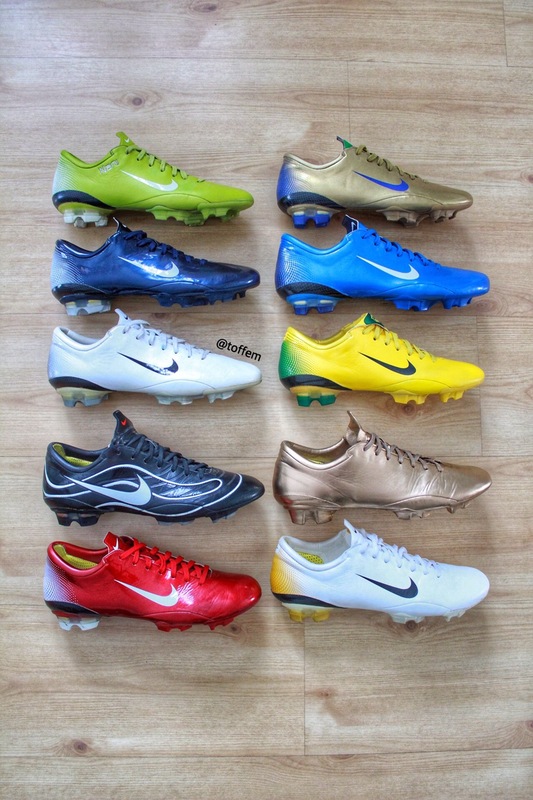 It was the year Nike announced themselves to the world of football boots. 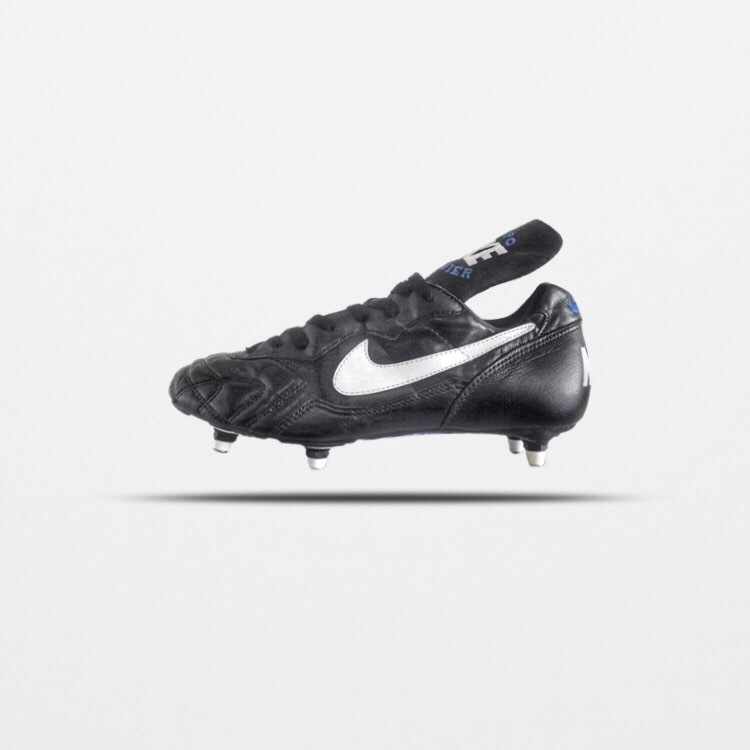 In the world cup Nike managed to supply 10 of the players to wear Nike Tiempo in the World Cup Final between Italy-Brazil. 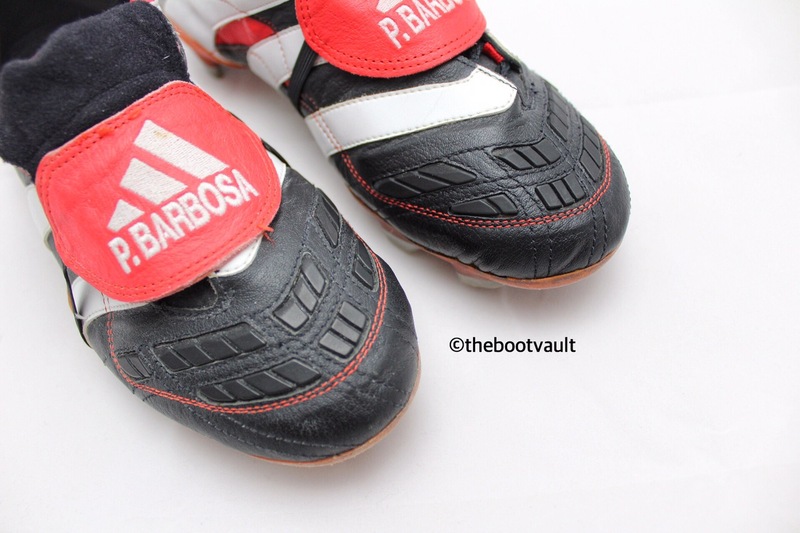 Also 2 of the biggest stars to wear the boots, Romario and Maldini! 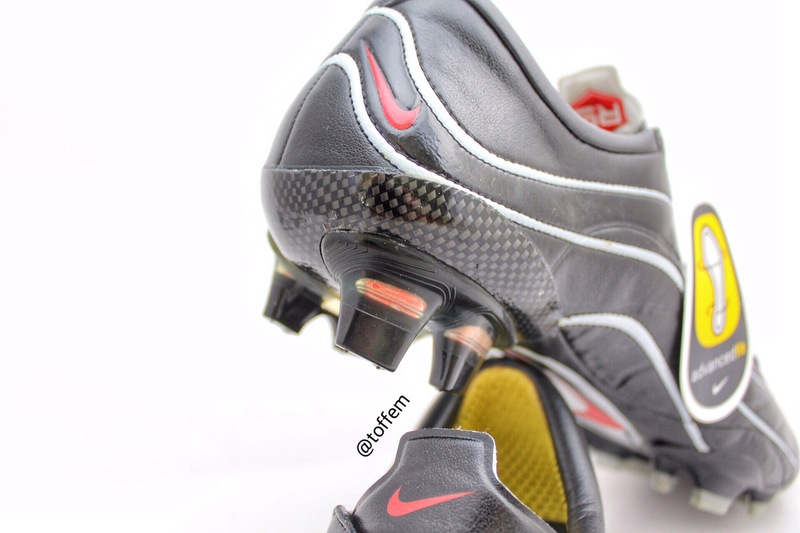 Nike wanted to keep the comfort and keep the boot strong. 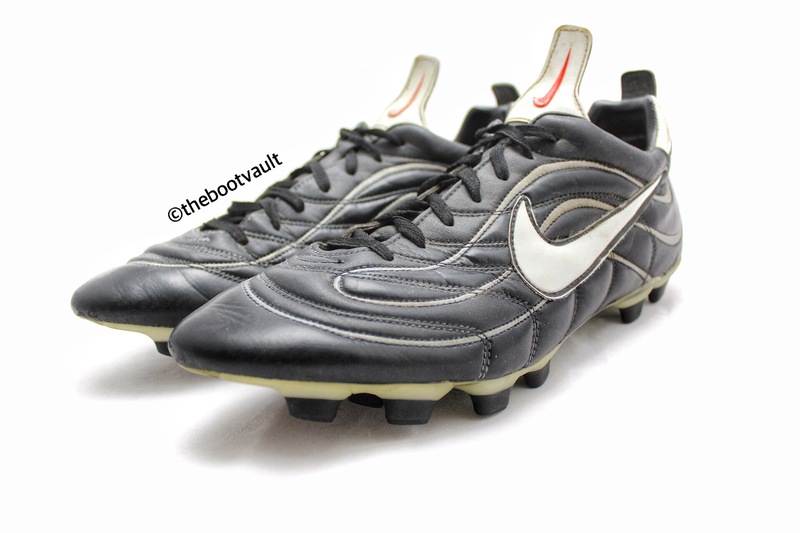 Nike Tiempo 1994 was a classy black leather boot with a white Nike swoosh. 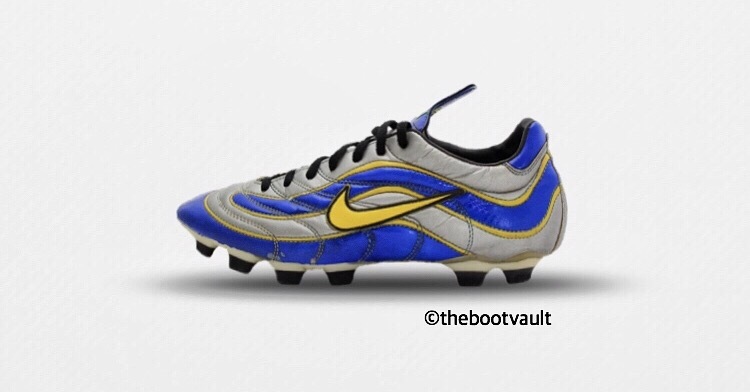 Already then Nike wanted to keep the boot quite simple and light compared to the other brands. Check out for more Milestones coming! 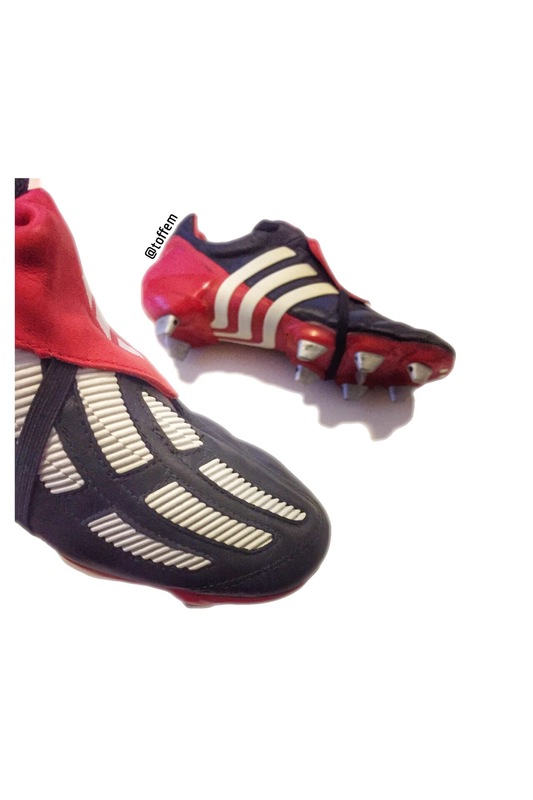 The original Adidas Predator released in 1994 was revolutionary in the way it managed to add power and swerve to the kick thanks to the rubber fins! 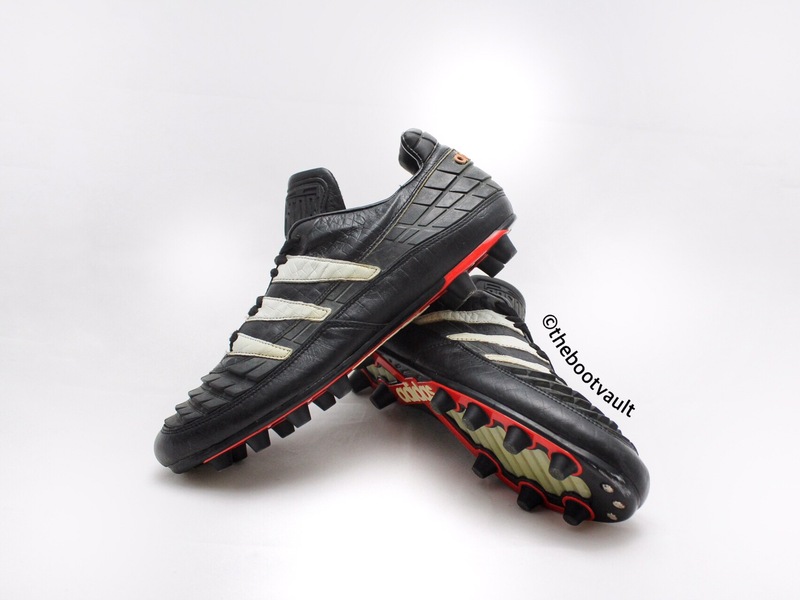 It was Craig Johnston back in 1988, footballer from Australia, who was the key man developing the first Predator. It was his idea to add the rubber fins, he compared it to table-tennis. 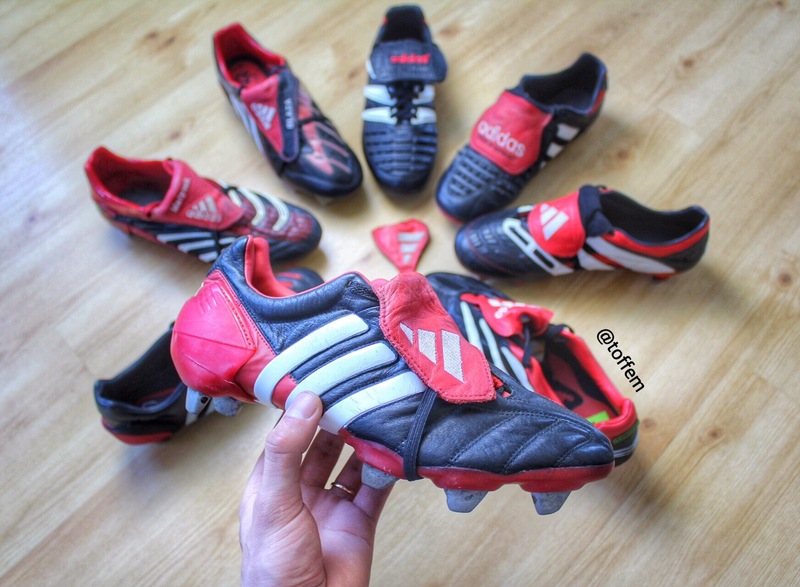 These boots became Adidas biggest revolution in the history of football boots! Thank you for reading and next Milestone will be published soon.